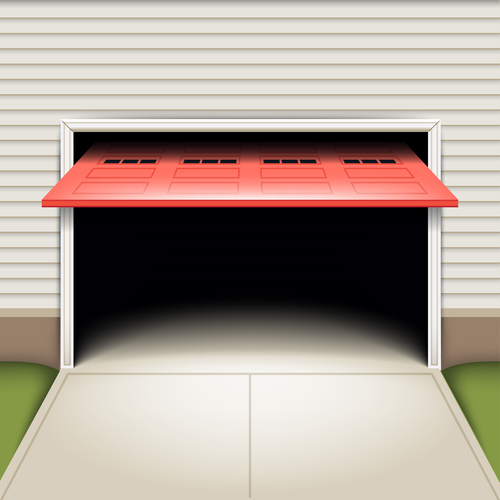 Are you in the middle of planning a garage cleanup? 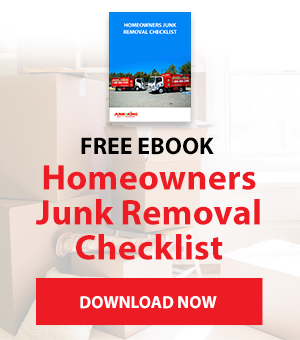 If so, you might be weighing your options for junk removal. Do you want to handle things on your own, with garbage bags, donation piles, and recycling bins full of stuff you don’t want anymore? Or would you be able to accomplish all your cleanup goals more quickly and efficiently by going the garage dumpster rentals route? Both options can play out as DIY cleanout projects. And you can do both on a tight budget. Both require a little less planning and organization than hiring a full-service junk removal team to handle your cleanout for you. However, by renting a dumpster, you can move faster, declutter more thoroughly, and even stay more sustainable. To illustrate why renting a dumpster is the best way to go about managing a garage cleanout, let’s look at what a project like this might look like without a dumpster on hand. Perhaps you wake up early on a Saturday morning to start your cleanout, with the goal of finishing the project by the end of the weekend. The first issue, for most people, is that they don’t know where to start. You immediately see half a dozen items you want to throw in the trash—from smaller items such as kid’s yard toys to bigger stuff such as retired furniture or electronics. However, you quickly realize that not everything is going to fit in your standard weekly-pickup trash bin. The question now is what you do with everything and how you organize the cleanup project as you move forward. Organization (or lack thereof) is probably the biggest drawback to conducting a garage cleanout without a dumpster rental. When there’s nowhere to put anything, your options are basically threefold: sort everything into piles, fill a few dozen garbage bags with stuff, or pile everything into your car for trips to the local trash/recycling center, or maybe even the nearest Goodwill. As you’ll quickly see, none of these options are ideal. If you’re sorting everything into piles, you’ll still eventually need to figure out what you’re going to do with those piles. If you’re putting everything into plastic bags, you’re both wasting plastic bags and giving yourself the extra step of hauling that stuff to the garbage dump. And if you’re driving stuff to Goodwill or the recycling center yourself, you can only take as much as your vehicle can hold. Even if you drive the biggest pickup truck on the market, you’ll still be dealing with less capacity than you’d get from a dumpster. Now, let’s look at the kind of experience you can expect if you manage your garage cleanup with a garbage dumpster rental. When you wake up on Saturday morning to start your cleanup, your dumpster will either be waiting in your driveway or will be delivered shortly. (You schedule your drop off through the dumpster rental company.) Instead of finding yourself at a loss for how to start your project, you can immediately start tossing items—large and small—into the dumpster. You won’t have to pile things up in your driveway with hopes that you’ll stumble upon a good system, or haul loads to the trash or recycling center on your own. Instead, you’ll busy yourself filling the dumpster. At that point, someone will come to pick up the dumpster and haul it away, along with all the stuff in your garage that you didn’t want anymore. It’s as simple as that! You might be saying: “Well, it couldn’t possibly be that simple.” Surely there are a few drawbacks to dumpster rentals that going the full DIY route would help you avoid. For instance, you might point out (correctly) that dumpsters do not have different compartments where you can sort trash items from recycling items or stuff that you’d like to donate. Wouldn’t it be more environmentally and ethically conscious to sort your stuff and then haul separate loads to the recycling center, the local Goodwill or Salvation Army, and the garbage dump? This quandary can be solved simply by choosing a green dumpster rental company. These dumpster services don’t just haul your stuff indiscriminately to the landfill. Instead, they transport everything to a processing center, where workers sort through everything and pull out items that can be reused, recycled, donated, or otherwise repurposed. This approach means you can still enjoy the peace of mind that comes with being sustainable without all the extra time that comes with a painstaking sorting process. The other factor, of course, is cost. Handling your garage cleanout without a dumpster rental means you don’t have to pay for a dumpster rental. Saving that money is probably an attractive option—especially if you’re on a tight budget. It’s also a hassle working with many dumpster rental companies because you must pick a dumpster size and pay a flat rate for it—even if you’re not at all sure if you have enough junk to fill it. There are two answers to this conundrum. First, when considering the monetary side of things, you must think about the value of your time. Not having a dumpster to simplify your cleanout makes everything take longer. It also means you will be driving back and forth between the various trash/recycling/donation locations in your town. Suddenly, what should only take a few hours ends up taking days or even weeks. Yes, you do have to spend a little cash to rent a dumpster, but it’s worth it for how much time you will save and how much hassle you will avoid. Secondly, there are dumpster rental companies that offer an alternative billing structure. Instead of paying a flat rate for dumpster space you may or may not use, you pay based on the amount of dumpster space you actually fill. Finding a dumpster rental company that offers this kind of billing system will allow you to avoid the stress of choosing a bin size while also ensuring that you get the best deal possible for your cleanout project. Handling your junk removal project on a DIY basis is a noble pursuit. It’s also very possible—especially if you have a few friends or family members who are willing and available to help with the cleanout. However, just because you’re going DIY doesn’t mean you need to shun the tools and services that can make your life a lot easier. A dumpster rental costs significantly less than a full-service junk removal service, but still gives you enough help that you can speed through the cleanup project and get the job done ASAP. Whether you’re trying to hit a moving deadline or just want to minimize the number of days you’re spending in your garage with dust bunnies and old yard tools, a faster cleanout is probably something that piques your interest. Bottom line, garbage dumpster rentals are there to make cleanout projects easier and less stressful. If you’ve been putting off your garage cleanup for years because you a dreading a long, boring, logistical nightmare of a project, let yourself off the hook by renting a dumpster. You’ll be amazed at how much less worthy of dread your project is with a simple 15 cubic meter metal box sitting out in the driveway.